Another man has been arrested in connection with the thefts of charity money from Gatwick Airport. Police said on January 3 three men took the charity globe in the South Terminal. A second globe was targeted by four men on January 18 but the thieves were thwarted by a member of staff. The globes are located around the airport at various locations and are for passengers to donate any loose change or foreign currency. 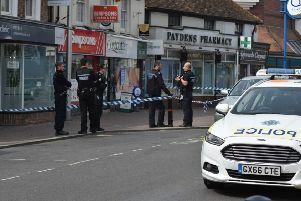 Police said a 23-year-old Eastbourne man has been arrested on suspicion of theft. Three other men were arrested last month and have been released under investigation. A 26-year-old Crawley man was arrested on suspicion of being involved in the theft on January 3 while two men, one aged 24 from Crawley, and one aged 23 of no fixed address, were arrested on suspicion of being involved in the theft on January 18. Officers added they are still hunting for another suspect.